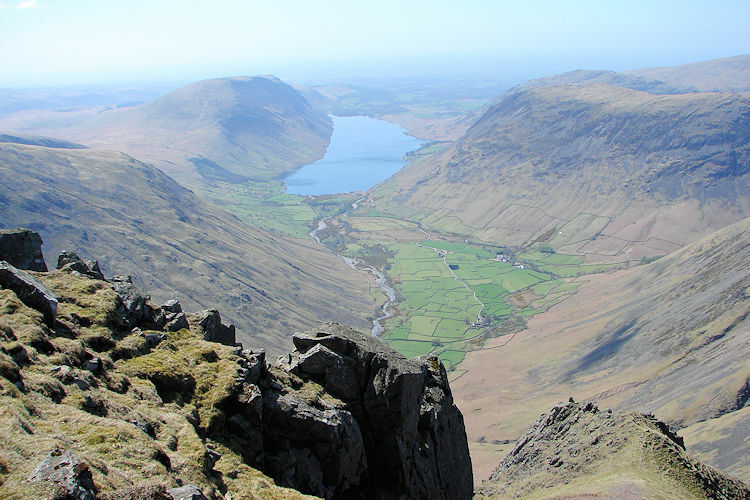 Summary: Great Gable is rated by most Lakeland walkers as one of the best mountains. Quite rightly too for it is an awesome sight to behold. It is possibly the most painted and photographed of all the Lake District mountains for it sits spectacularly in a central position when looking to it from Wast Water. The stunning panorama of views from the top are breathtaking. To the north west are brilliant views into Ennerdale and Crummockdale with the complementary ridges which include Pillar, Looking Stead, Haycock, etc to the south of Ennerdale and then the Haystacks, High Crag, High Stile and Red Pike ridge to the north. 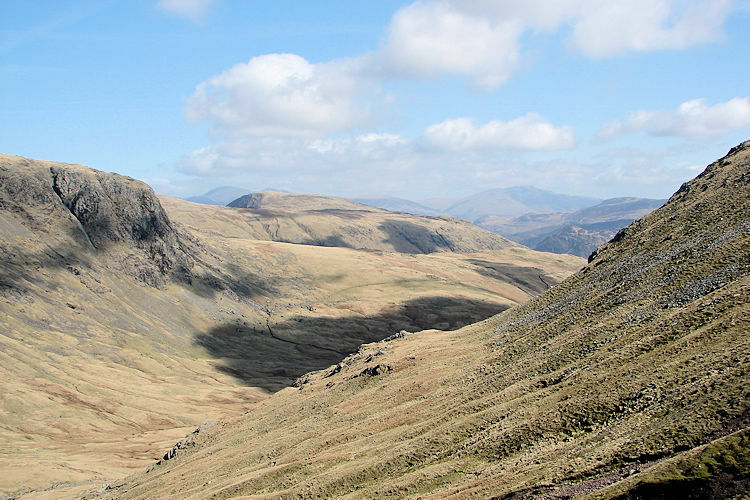 Turn about and look due south to the Scafells. 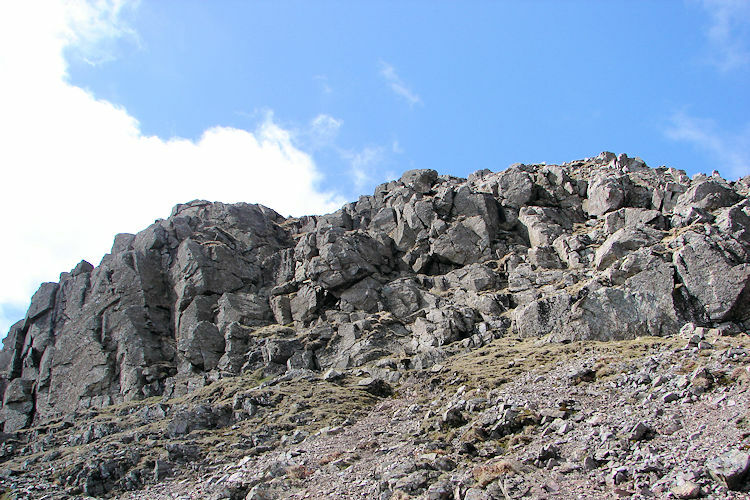 It has to be climbed, without a doubt, and if you have not been up yet then you have got to climb it sooner than later. 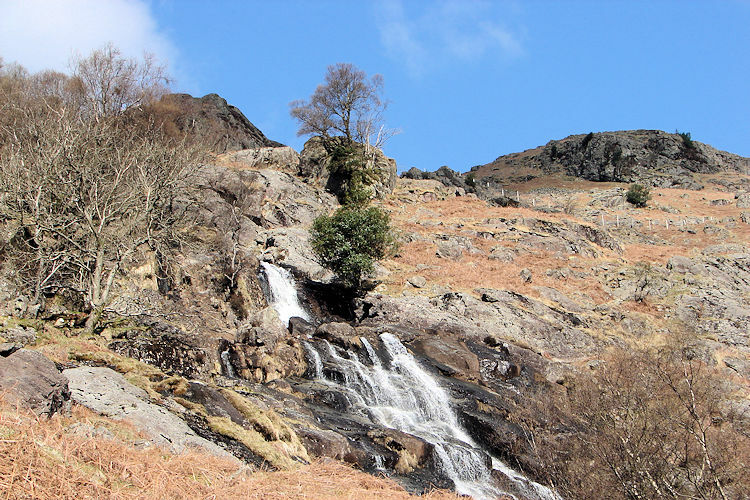 And the way up from Seathwaite by Sourmilk Gill and Windy Gap is my favourite. 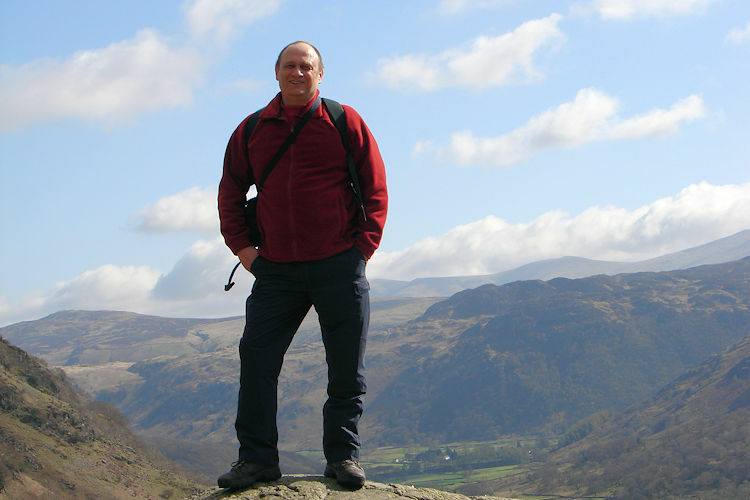 It was during the May Bank Holiday weekend break in the Lake District and just after a significant birthday milestone when I decided that seven years was too long a spell not to have ventured up Great Gable. 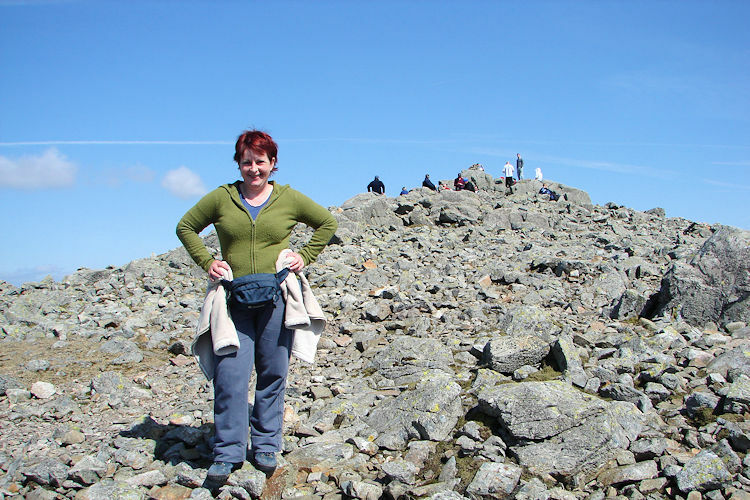 Seven years ago I had taken my girlfriend Lil on her first real Lake District walk. It was a tough introduction for her back then and she struggled. 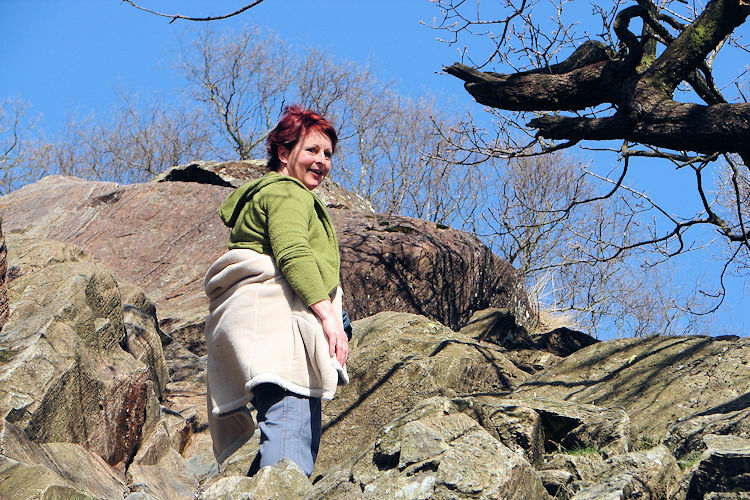 This time Lil accompanied me again, for her second Lake District walk, this time as my wife. With memories of that painful first time Lil was a little apprehensive but this time I promised her I would not blaze ahead. I could not anyway for this was my first good walk for over six months and no way was I fit enough. And this time she had much better footwear. The signs were good for it was a fantastic morning as we drove from Cockermouth through Lorton Dale and over the Honiston Pass. Lil felt better when she heard over the radio that we had a promise of good weather. 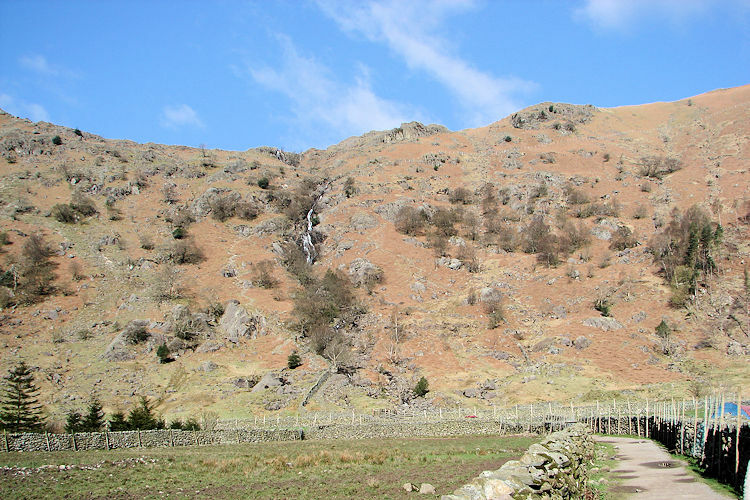 We parked up close to Seathwaite Farm, always a benefit as it means we had beaten the crowds in this most popular venue for starting walks. Lil quickly changed and prepared for the off. She was eager now. Me, I took longer. I always take longer, but then I do end up the packhorse with provisions, change clothing, maps, compasses, GPS and everything else. Oh, and after numerous checks, wallet, coins and car keys! Not soon, but not long either, then I was ready, laden up and we were off. After a false start by walking past the turning in the farm we were on our way. Lil had got it right and we walked through by bisecting the farm buildings. 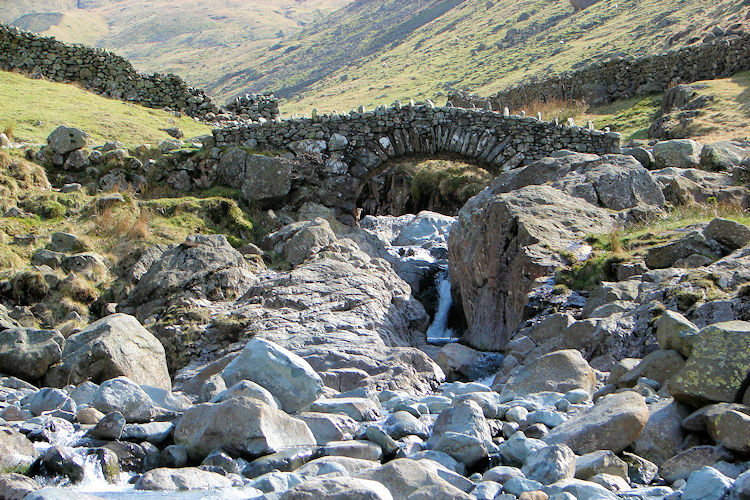 We headed westwards along a track to the foot of Sourmilk Gill. One of Lils failures the last time was that she raced up the Gill trying to beat me and on reaching the top was exhausted and dehydrated never to fully recover. This time I told her to pace herself better. To her credit she did so and with a mix of steep climbing and scrambling headed enthusiastically but cautiously up the Gill. I could tell she was enjoying the climb up. It was good for both of us. 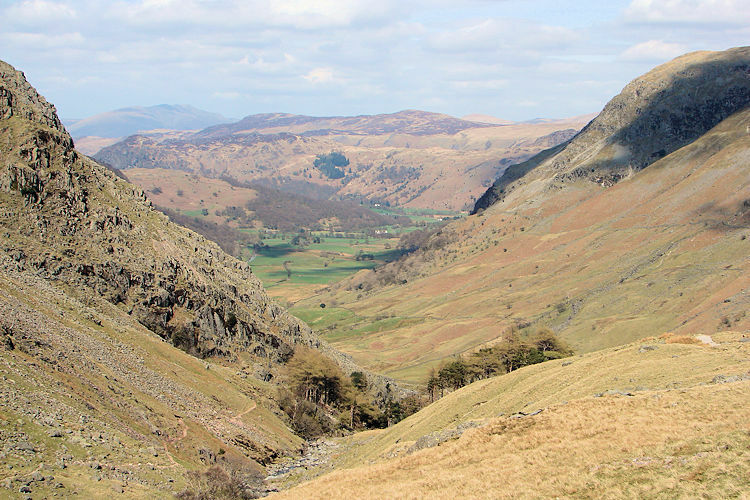 We made our way up alongside Sourmilk Gill and regularly stopped to take in the views which were opening out for us. 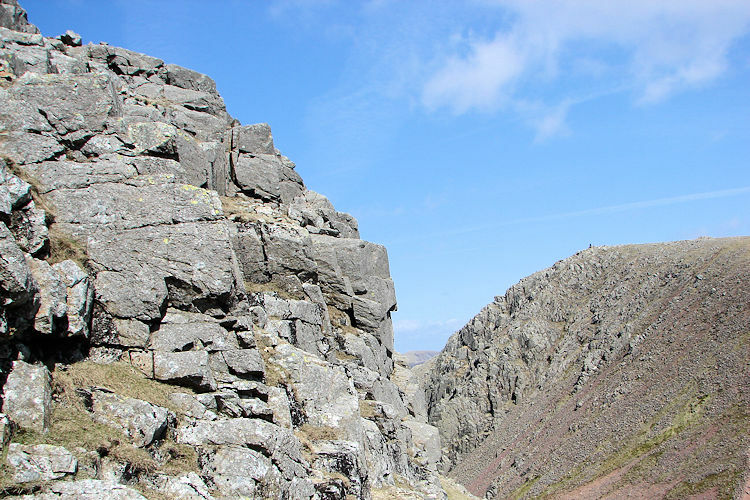 Eventually we reached Seathwaite Slabs and rested a while. It was sunny, quiet and beautiful as we took a drinks and energy bar break by the stream of clear running water. And this time, unlike the last when we stopped near the spot seven years ago, Lil was fully ready and able to go on. The walking levelled off for a spell now as we rounded Base Brown via Gillercomb. It was time for quiet reflection, a lovely peaceful section before the next ascent to Green Gable. 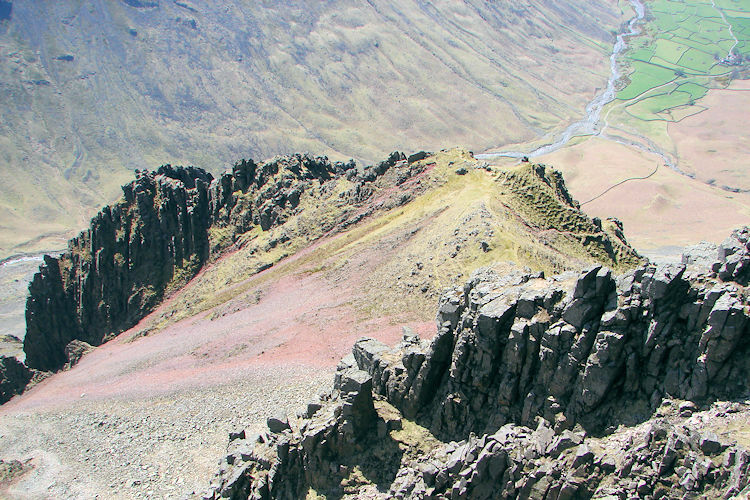 As we skirted south below Gillercomb Head the climbing resumed but both Lil and I took it in our stride and it was not long before we met the intersection path which walkers from Honister and Brandreth will have taken. And true enough our solitude was compromised at the intersection firstly by a group of about 10 designer gear yukkie walkers who were to be our irritation and secondly by a colleague of mine who, not realising I was on leave, asked if I was available to attend and present at a meeting when back at work the following week. No problem I said. After the phone call we resumed our walk to the top of Green Gable and prepared to drop down and across Windy Gap. But not before the yukkie designer gear gang had completed their first irksome break. We just knew they were irritating, both Lil and I knew. Last time we crossed Windy Gap it lived up to its name but this time it was benign and we crossed easily. 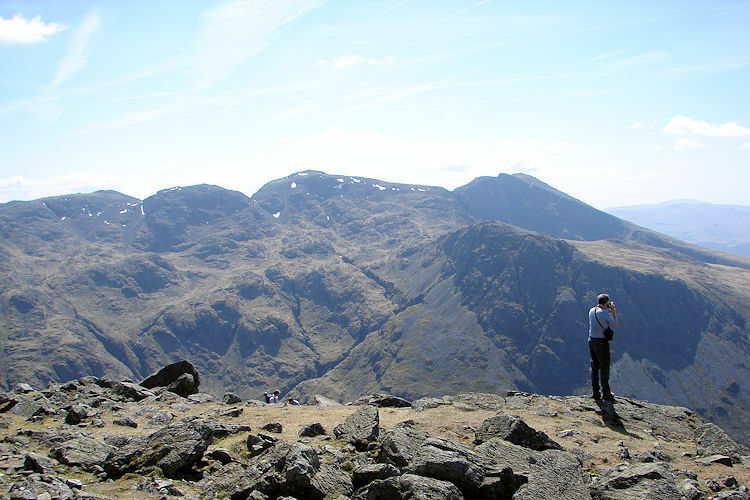 Then it was a case of take a deep breath and scramble up onto Great Gable itself. 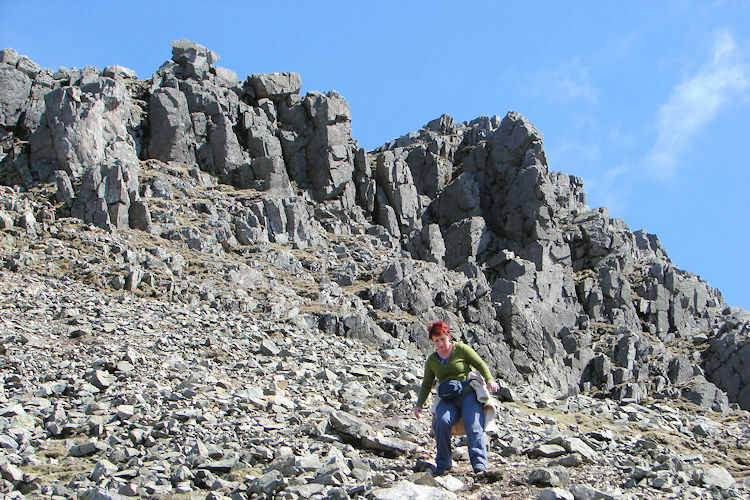 The scrambling was fun, never too challenging but very enjoyable. We soon reached the top plateau and walked close to the summit. Not to the summit though as the chattering boys had camped themselves there. 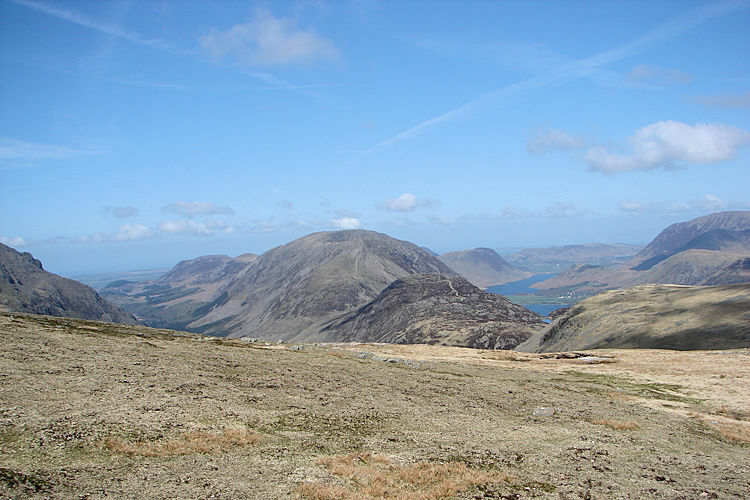 We lunched just out of earshot and enjoyed looking out at the excellent views north and west to Ennerdale, Buttermere, Crummock Water and beyond to the Scottish Hills on the far side of the Solway Firth. 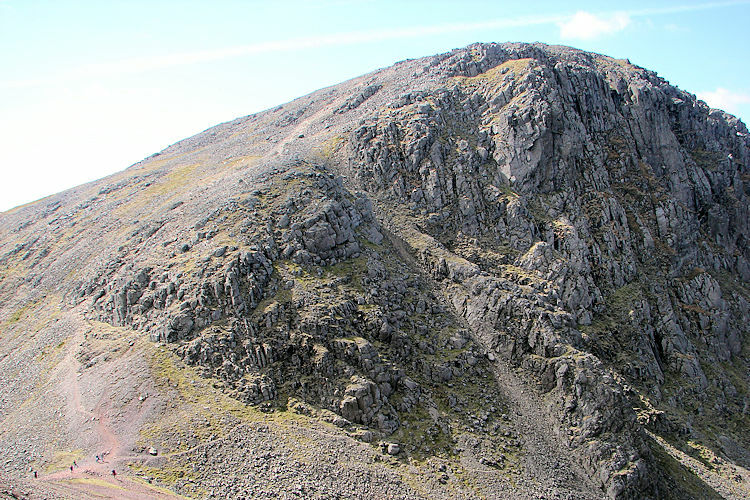 After lunch we walked around the summit perimeter and peered down at the impressive natural rock needles of the Great Napes, such a stunning feature of Great Gable. Around the perimeter we also looked across to Scafell Pike and to Scafell. We then turned our attention to Wast Water and Wasdale. And there was much more besides. Then I turned my thoughts to making the descent. I looked for the path down and after attempting to find it Lil called a halt. She was enjoying herself too much to end it all! Suitably impressed she wanted us to live to walk again and so after taking in more views of the Great Napes and the Scafells we searched for the path and once located we headed down the long stepped path to Styhead Tarn. Last time we had been on this descent Lil was really jiggered. This time she was not too fatigued and apart from a slip into a pool which caused her an embarrassing wet backside she smiled and even broke into tune on her way down the path, thoroughly enjoying her day. 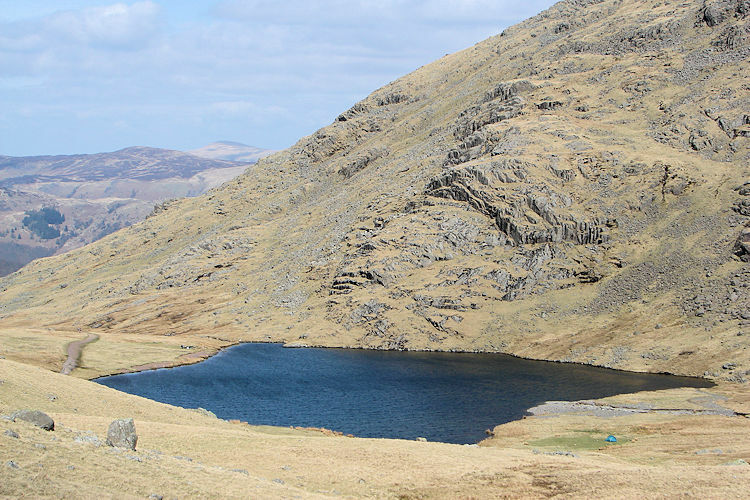 We eventually reached Styhead Tarn. It is such a lovely spot. 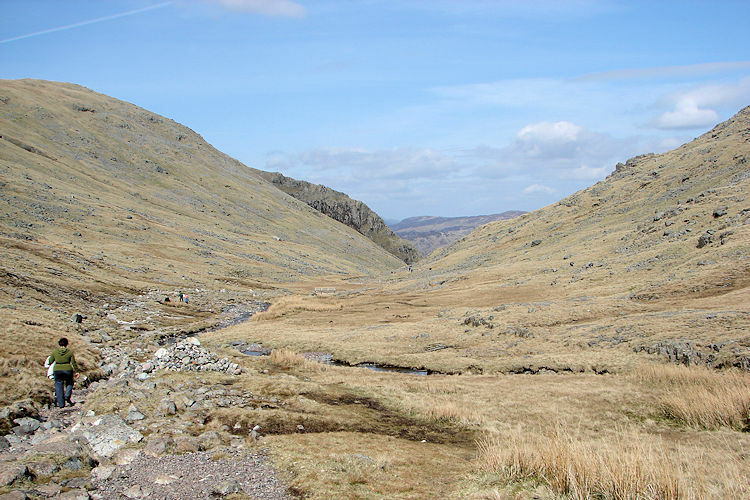 From Styhead Tarn we headed down to Seathwaite by following Styhead Gill downstream to Greenhow Knott and then continued our descent on the stepped footpath to Stockley Bridge. A final walk alongside the rapids of Grains Gill took us back to the car and to the end of a real good walk. We both felt better than we expected. Oh, and we both got a really impressive sun tan during the walk. Who needs the Mediterranean.